Enjoy seasonal veggies in the best way: with Fresh Corn Salsa! 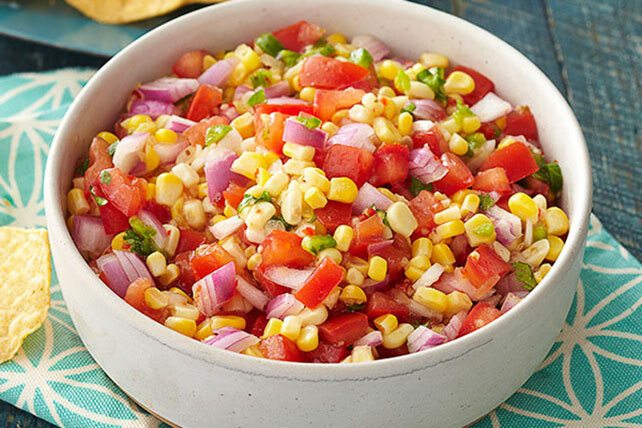 Eat this corn salsa with chips or topped over steak or chicken. Either way, you can't lose! Cut tomato into wedges, then cut each wedge into small pieces. Serve with baked tortilla chips, or spooned over grilled chicken or fish.